It’s time to review top quality and one of us favorite k-cup coffee Tully’s Hawaiian Blend. This cups work with Keurig 2.0 coffee makers. Great rich flavor, perfect aroma, smooth and tasty. Every coffee junkie, if it has not tasted so far, it’s the right time to try ideal Hawaiian coffee taste. Maybe it’s the love hewn into each small batch. Or, maybe it’s the time and dedication of the bean roasters. Whatever the reason, I know a quality pod of coffee when I taste one, and I know THIS is a quality pod of coffee. The brown liquid, almost amber, doesn’t say much for the brew but when the aroma of the K-Cup captivates your senses, you know the quality of coffee of which you are about to partake. The victim: Tully’s Coffee Hawaiian Blend medium roast K-Cup is on the brewing block today. The aroma wafting from the Keurig 2.0 machine piques my interest. It smells of richness. It reminds me of freshly ground beans. Green and fresh and rich is the most accurate way to describe it. It could fool you into thinking this was a dark roast. This brew contains 10 percent Hawaiian beans blended with high-quality Arabica beans. Hawaiian coffee, and more specifically Kona coffee, has long garnered marks as one of the finest coffees on the planet. 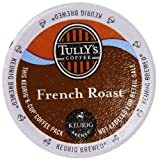 It makes perfect sense why Tully’s Coffee would mix it into a K-Cup. The brew: On cue, the taste pleases. There is nothing bitter about this coffee. It’s fresh and robust and hits all the right sensors in the palate. It’s simply complex. The flavor of the Hawaiian beans wraps around the boldness of the Arabica beans in a perfect dance of sweetness and savory. Tully’s Coffee boasts about the care and detail given to every small batch of coffee they roast. After enjoying this Hawaiian blend, I believe them. This is the kind of coffee you want to drink all the long day. With such a pleasant flavor, you’ll find yourself staring at the bottom of your cup far too quickly. Bold-seekers beware; this is a medium roast. Check out Green Mountain’s Dark Magic K-Cup to satisfy your bold cravings. Even bolder, try your hand on Barista Prima Coffeehouse’s Italian Roast Coffee pod. It bulges your eyes in admiration. The background: Tully’s Coffee calls Seattle home and opened its doors in 1992 by Tom “Tully” O’Keefe. Even with Starbucks reigning from the same city, Tully’s quickly became the go-to stop for coffee in Washington’s Puget Sound area. And that was a tall task, given that there is nearly one coffee shop for every 4,000 folks in Puget Sound. 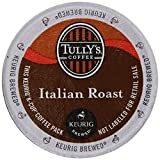 Where to purchase Tully’s Coffee Hawaiian Blend: Regardless of the instability of the company, Tully’s K-Cups continue as a mainstay in the home-brewing process thanks to the acquisition by Keurig Green Mountain. 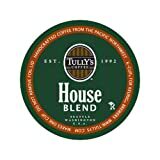 You can find Tully’s Coffee pods, and specifically the Hawaiian Blend K-Cup at Amazon or at many retail locations. I purchased always a box of 72 pods from Amazon. Because of the geographic setbacks of Hawaiian-grown coffee, and because of the valuation of Kona-like coffees, it’s very unlikely you’ll see many Hawaiian K-Cup pods widely available at reasonable prices. Besides, 100 percent Kona and Hawaiian coffee is properly brewed fresh from ground beans. Tully’s Coffee Hawaiian Blend K-Cup is the best substitute and the closest you’ll get to a Hawaiian vacation in a cup. 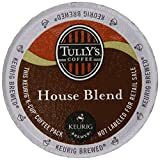 There are more Tully’s K cups that you can buy and all their coffee are mostly very good rated by customers on Amazon and from us. Team from Coffee Supremacy do not drink often decaf coffee and we put this coffee in our table only for people who are sensitive to caffeine. 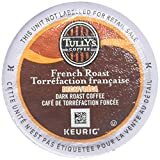 Our favorite is Tully’s Hawaiian Blend which we review and Tully’s French Roast Coffee .